This is easy to use, easy to apply and okay drying (4 minutes a coat). 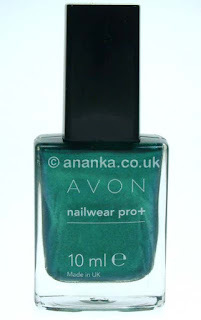 It's a gorgeous jewel like green and I really like this colour. Noticed slight tip wear but lasted well otherwise. It really is deep and gorgeous! Its a fantastic color so classy and chic! 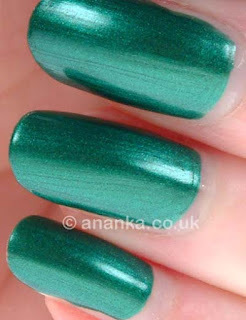 It really is emerald, I like it a lot. That green is so pretty! Like it! One of my favourite colours, pretty!! love jewel tone greens! love the almost metallic finish too! happy to see it doesn't have brush strokes!